this is another from the archives. 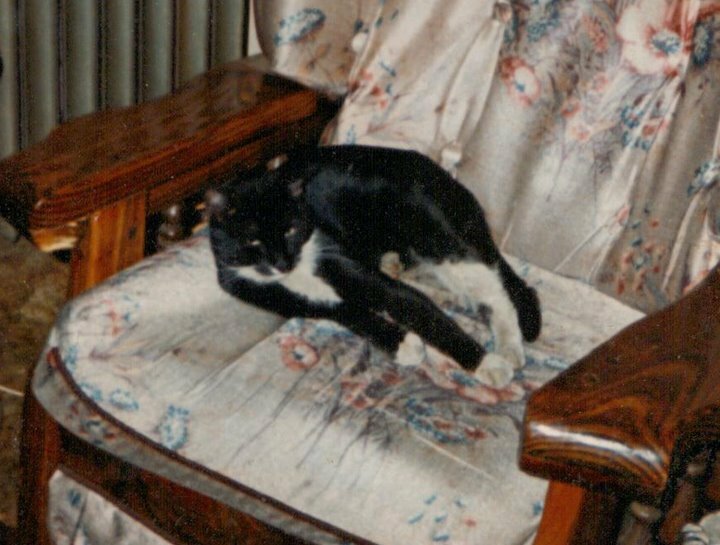 circa 1987 or so… my Buddy cat, he literally came in my bedroom window one night soon after we had moved to a new and very unfamiliar place. i adopted him and he stayed with me for years, finally moving to the country with my parents where he one day wandered off never to return. he was a great cat, he would play fetch and loved to have his ears scratched.